It is very important to have an excavator capable of doing arena work because installing an arena requires precision. 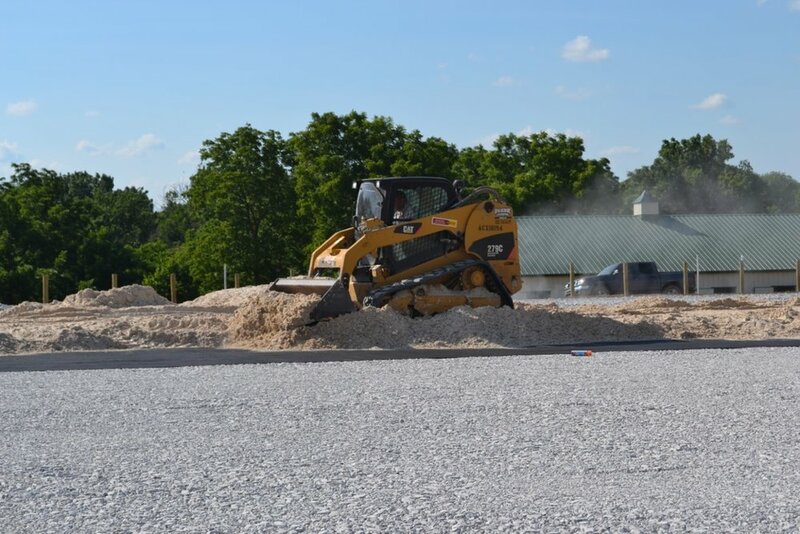 The removal of the top soil and grading of the sub-base can be easily done, but when installing different base materials and drainage it is paramount that they are installed correctly. Footing First recommends getting an arena expert installer. Pitch is very important for a traditional arena because it requires enough pitch to run the water over the surface but not too much which would cause erosion of the surface. A free-draining base will provide the very best drainage for an arena. This can be installed many different ways using different size rock and different amount of pitch depending on which system is being applied.